We are more than five years on the market and we have over 10,000 satisfied customers. We have well trained guides that besides English speaks an extra language. 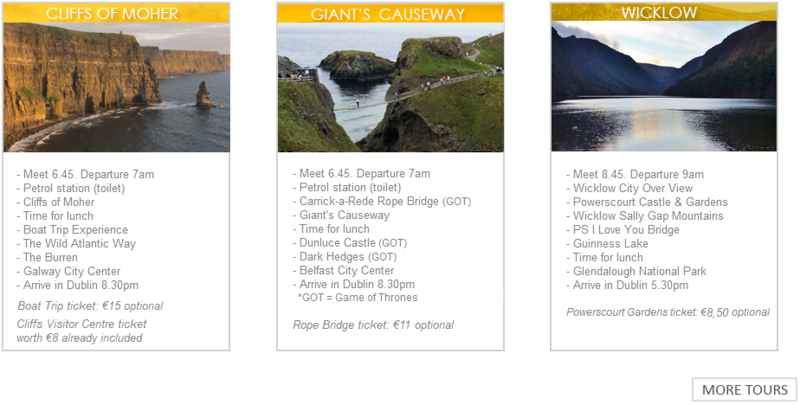 The fun way to discover Ireland! High comfort mordern executive coachs . They're an absolutely awesome crowd. Know what they're doing and are good at it. Great tours. Would definitely recommend! The best tour in Ireland with the best tours guides! I just want to thank you for today! Cliffs of Moher is wonderful and the travel was amazing!